I'm pretty loyal when it comes to children's patterns. When I first learned to sew, I used Oliver & S and Peek-a-Boo Pattern Shop, and I rarely deviate from those two (mostly I sew PABPS). Partly it's because I love the quality of those two, and partly it's because there are SO MANY designers of children's patterns. It would be pretty impossible to keep up with them all. 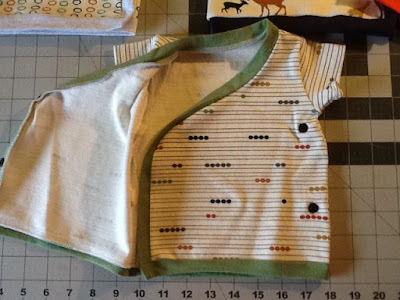 But recently I started getting bored with my baby patterns (see what I've made for baby on the way here and here) so I looked outward and decided to try Brindlle & Twig. I'm sure most people have at least heard of them. 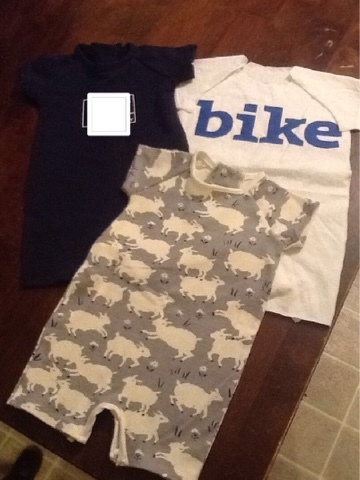 B&T has tons of patterns for babies and older kids. 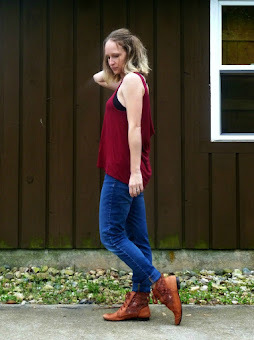 I settled on the Raglan Coverall because I wanted something with raglan sleeves (easier to sew, and just different from my other patterns) and with a head opening that wasn't simply lapped or a scoop neck. I was bored with the lap neck and my kids have giant heads, so I need some sort of method to get their heads through neck openings. The Raglan Coverall has a snap placket, which looks intimidating but was super easy when following the directions. In fact, I'll be taking that concept and applying it to other patterns, for sure! 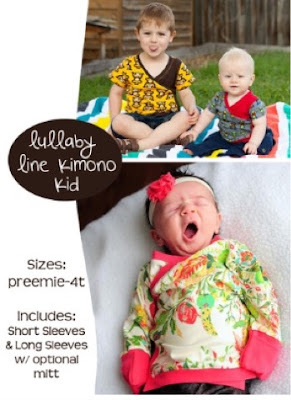 This pattern comes in sizes preemie-5/6! I made 0-3 months. 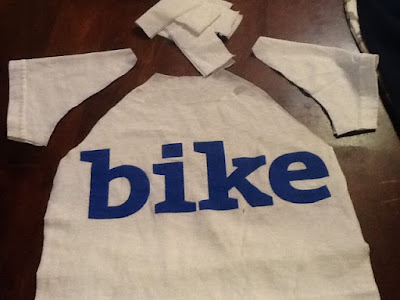 In this small size, this is the perfect project to upcycle old tshirts. I did make some changes to the original design. 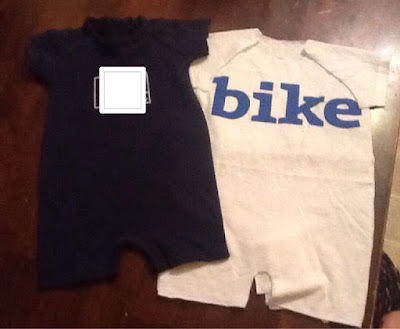 I'm having a summer baby and will likely swaddle said baby, so I went with short sleeves and short...legs? Pants. Neither of these modifications are included in the pattern, I just had to take a guess and whack at it. Since I was shortening these two areas, I also went with a standard hem (or used an already-present hem in the upcycles) rather than a cuff. Secondly, I added an inch to the length of the bodice. We use cloth diapers and with these style outfits my babies always outgrow the bodice length before anything else. 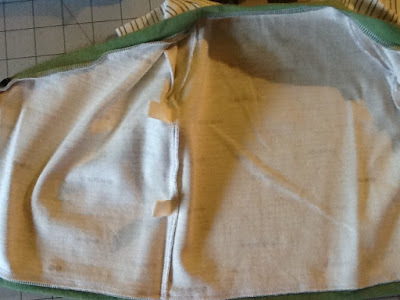 Lastly, I moved the snap placket to the back of the garment. I kind of hate it being right in your face in the front the way it's designed. The navy one is an upcycle and has my husband's company's logo on it, for privacy reasons I covered it up in these photos but it's super cute. 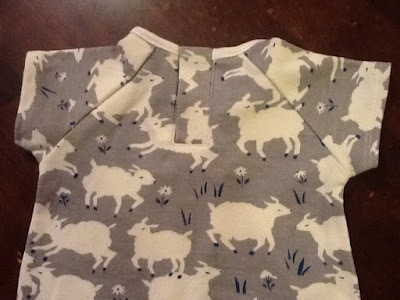 The sheep version is made from scratch, fabric is interlock from AAACottonCreations on Etsy. Just pretend that the white one (another upcycle) is assembled...I ran out of white thread, believe it or not! A few comments about Brindlle & Twig patterns in general, since this is my first time using one. I'm not thrilled with the amount of variety built into each pattern (none). For example, there is a second Raglan Coverall pattern without the placket and cuffs. For a separate $9.50. Maybe I shouldn't compare, but at PABPS those would certainly be combined into one pattern, the sizing would go up higher (if applicable), and the cost would be less. It was sort of annoying to scroll through a lot of patterns in the newborn section and to realize how similar some were. This is just nit-picky, but the instructions were at the end of the PDF, so you have to scroll through all the pattern pieces to get to them. 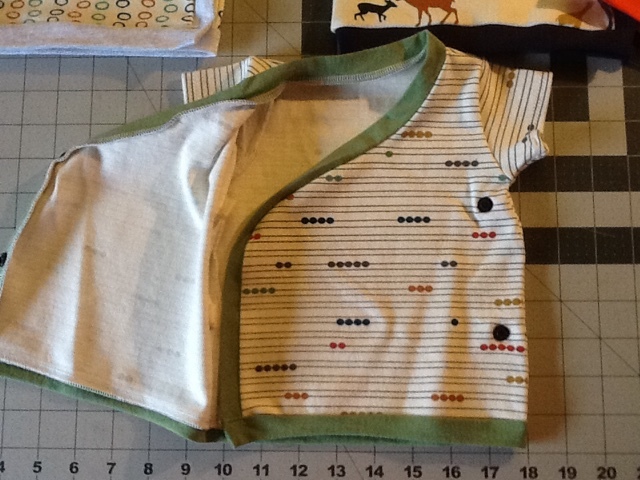 Now for the good: 1/4" seam allowances (my preference on knits) and the PDF assembled easily. The instructions were excellent. Overall her designs are edgy and different and I like that every now and again. I'll be making more of these if I can find the time and the right shirts. 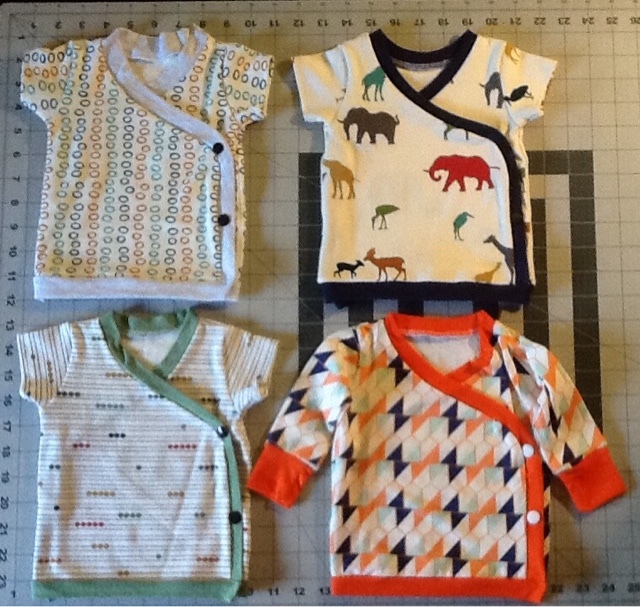 These do not have snaps yet as I'm finishing all my baby clothes and then ordering some online. Can't wait to snuggle my new little one into his or her handmade wardrobe! Well aren't I late this week? When the weather is warm and the weekend contains a holiday, TV watching just doesn't seem that important. I hope everyone had a nice Easter, it was over 70 degrees here and marvelous! Giving away your fabric/being stuck with someone else's fabric is seriously the worst. Best garments: First of all, what kind of resort are these people attending? Looking back over the garments again, I wasn't in love with any of them. I liked the idea of Dom's but the skirt colors weren't doing it for me, and it had these weird fins on the side...the top was beautiful, though. Worst garments: I was glad Alyssa called out Sam for his homemade-looking dress. I thought as well that it looked poorly made, and he was being annoying about its magnificence when the silhouette was nothing new. Kini's lace princess figure skating dress was so, so, so, so bad. I could not believe he was safe. Emily's was also terrible but that wasn't her fault. I can't even guess what Alexander was thinking when he chose that sheer polka dot. I would have liked to see her cut strips of the sheer and piece it with the red, like Dom did, thus eliminating the polka dots altogether. See all final looks here. This was kind of an evil challenge, making them swap fabrics after they drew cards for fabrics. But in the end, I feel like Valerie made something that was "her" and the fabric didn't get in her way, she was eliminated because they're tired of her boring designs. Same reason she was eliminated in her season. And it's about time Dom won a challenge, right?!? When I was a kid, I could always count on getting a new, fancy dress at Easter. That tradition is still ingrained in me, for myself and for my own kids. 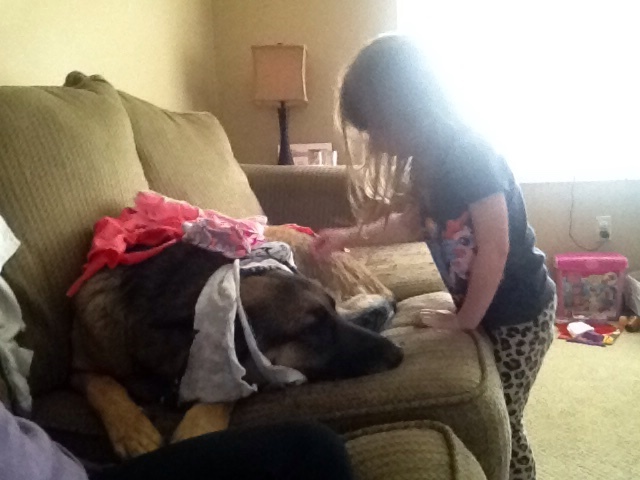 This year my kids got new dresses from the Gap (laaaaaazy) but I realized I had nothing for myself. 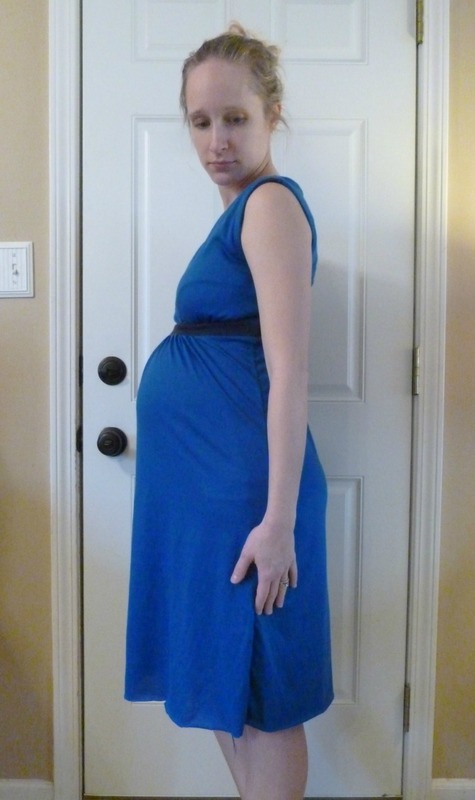 Well, I take that back, I have maybe three maternity dresses that would be appropriate. And I've had those same three dresses through multiple pregnancies. It was time to treat myself to something new. 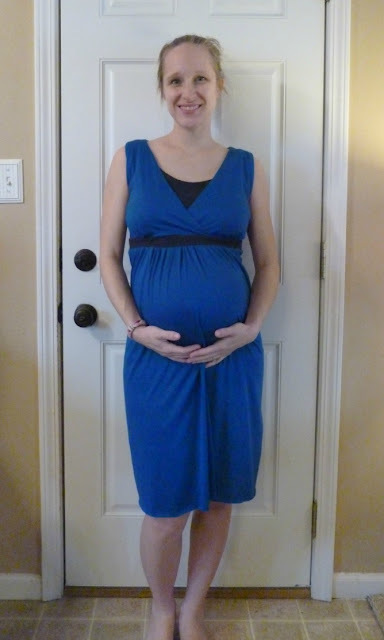 My three maternity dresses are actually all the same. The first was from Target, and then I copied it and made two more during my last pregnancy. 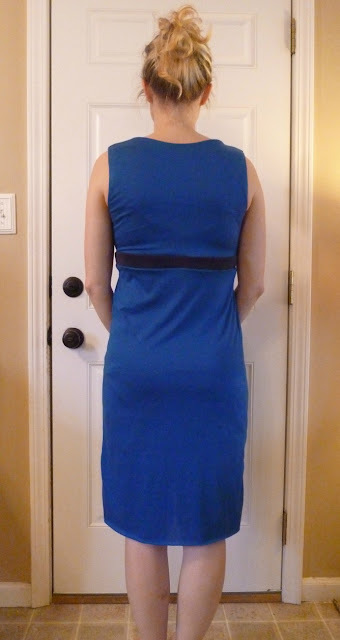 I was more than happy to find a new dress pattern, but it also needed to be nursing friendly. You know my deal. The pattern I used here is Simplicity 1469, and it's a reprint of this Megan Nielsen pattern. This side view makes me look enormous. I've had this pattern for way too long. 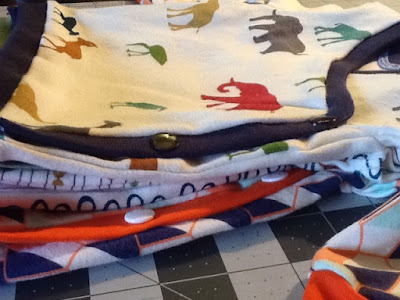 I even cut out the tissue during my previous pregnancy and never made it! Fail. This particular dress is a size XS. Based on my bust, I should have been a Small, but I made a top in a Small (unblogged) and it was too big all over. 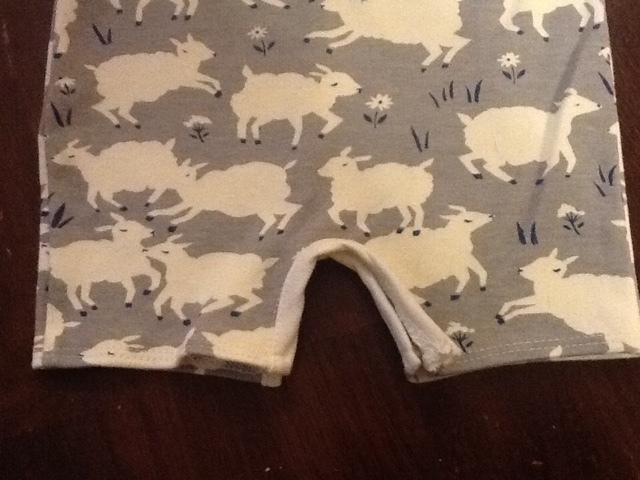 Luckily (weirdly) for me, I had two copies of this pattern and was able to pull out the other one and cut an XS. I made a few modifications. The original has pleating along the bust and the front skirt. 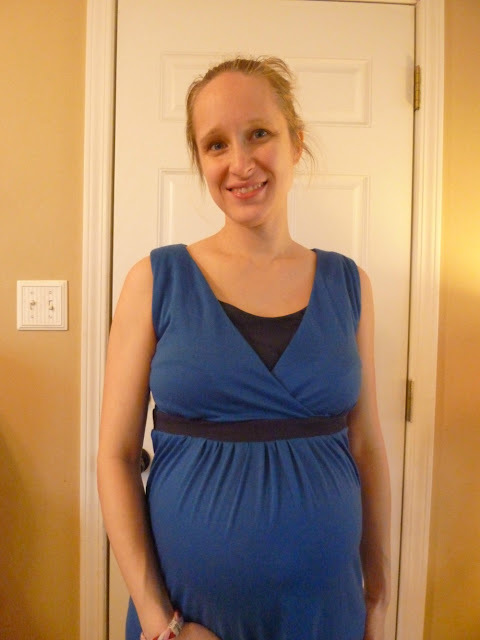 When I made my "muslin" top in the Small, I kind of hated the pleating. Plus it takes a long time. So I changed the pleats to gathers. I think the effect is much more pleasing to the eye and will possibly look less weird when I'm NOT pregnant any more. The second change I made was to line the bodice. If you've been reading for long, you may recognize this fabric. It's a VERY lightweight rayon knit and it is the devil. I'm sure I'm sworn it off many times, yet I keep coming back to it because I started with, like, 6 yards. 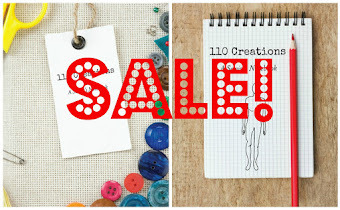 It's from a Bargain Lot from Girl Charlee. Like most rayon knits, it's super comfortable to wear and that's what keeps pulling me back to it (plus the color is divine). Anyway, I lined the bodice because the pattern tells you to hem all the openings. 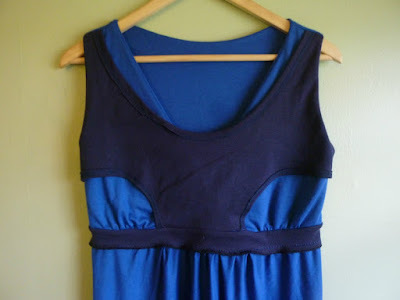 Yes, the front neckline, the armholes on the sleeveless version, the nursing panel underneath...all of the edges are finished with a hem. I have a coverstitch and I still didn't want to do it on this drapey, show-all-mistakes knit. Lining the bodice instead took quite a bit of brainpower in addition to sewing power. I cut two each of all the bodice pieces and applied the lining like a neckline facing, understitching and turning the lining to the inside. But I also had to account for the nursing panel and make sure that was completed and sewn to the lining first. All I can say is that it worked...if you have questions please ask in the comments! 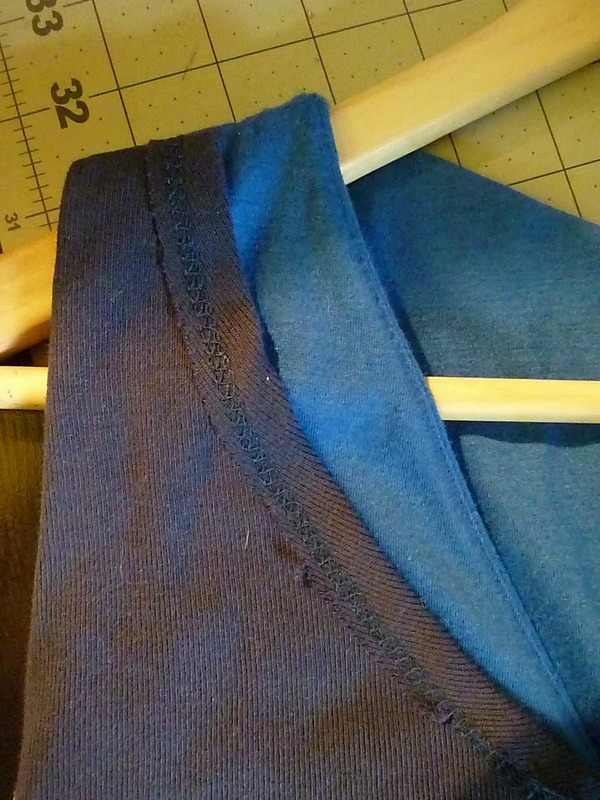 Once the bodice and lining were assembled, I had to finish the armholes. I could have, of course, turned them under and hemmed with the double-thickness of the two layers. I asked my husband whether I should use the easy way or the hard way, and his response was "do it the right way". He usually knows best. 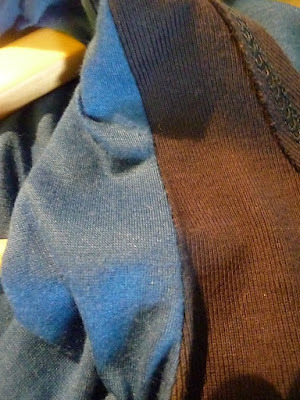 The right way is to clean-finish the armholes. Believe it or not, it can be done entirely by machine! It's super fiddly and annoying, but at least it doesn't involve hand-stitching. I followed this tutorial from the Colette blog. It works, even if it seems crazy. goes right to the edge of the armhole. It took me twice as long as it should have because I basted the nursing panel to the back of the armhole instead of the front, and because I forgot to use a stretch stitch. All my seam-ripping resulted in a small tear on the back shoulder seam. But I can't complain about how it looks, it definitely was the best choice! One last thing...I've committed a cardinal blogging sin and shown you an unfinished garment. I have yet to hem the dress. I just can't bring myself to coverstitch it when I've worked so hard to clean finish the bodice. 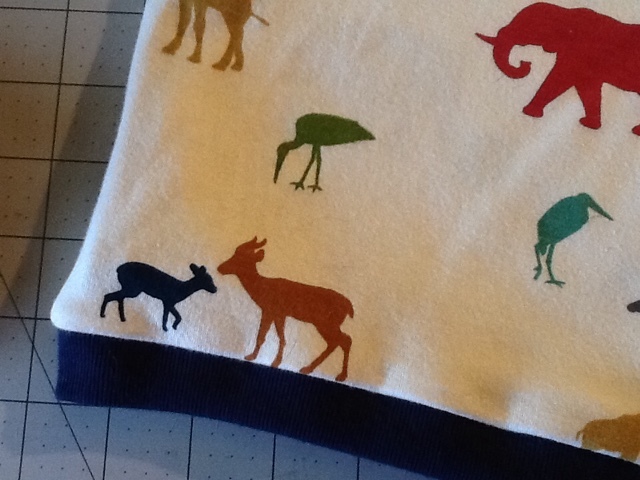 But I also don't feel like blind-hemming it, either by machine or hand, since the fabric is so thin. I'm sure all my blind-hemming will show. Thoughts? 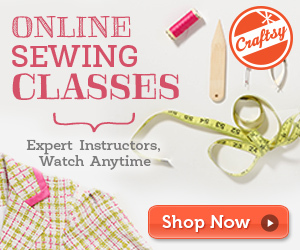 How do you hem your thin, drapey knits if you're trying to go for a nicer look? Wanna see the best thing ever? Sorry for the glare but there was no time for a fancy setup or camera! I think pink is his color, no? Best moments: Dom helping Sam. No one designs in a vacuum and it's silly to be hateful if someone asks your advice. Happy they got two days. Worst moments: Medieval Times...was that really necessary? Let's be honest, if this weren't All Stars, wouldn't they be visiting an actual, oh, museum?? Just another reason why this show is kind of a circus. I'm not down with constantly picking on Sam behind his back. If he weren't winning they wouldn't be so catty, which makes it look like everyone (with the exception of Dom, apparently) is jealous of the attention he's getting. Georgina's flower garden outfits make me sad. Best garments: I was excited about everything in the workroom, but kind of let down by the runway show. Yes, it was mostly well-made and the fabrics were gorgeous, but there wasn't a lot of "wow" here. Disappointing. Alexander's was beautiful but he ruined it with the pearls and his styling. Ken's was nice and deserved the win, but once I was thinking about tree bark it was hard to get that out of my head. I was shocked that Layana wasn't in the top...and I say that as a person who hates yellow! I thought her gown was fun and different and modern. Worst garments: Sam's fabric was doing all the work, and his model STILL had to wear pasties, so all his brilliant hand-stitched appliqué didn't even work. The pearl trim was gaudy and a lazy way to finish the raw edges of the lace. Mitchell's was just blah, I have more of an issue with him using a hot glue gun in a couture challenge! Also, Kini? Stop making the umbrella skirt. I can't believe he didn't get nailed for that. It's time to move on! Best quote: Honestly, it was hard for me to hear any of it with the live-action version happening in my living room. Finally we get rid of Mitchell, but were those tears from Alyssa Milano? No wonder she won't eliminate anyone! We need cold-hearted Heidi in here. Are any of these designers exciting you? Dom is being sneaky safe every week but I think it's time she's in the top. I'm tired of Valerie and Sam. My four year old has progressed from imitating the runway show, to parodying the entire episode of PR. She insisted that I pretend to be Alyssa Milano and Zanna...while the episode was playing. I'd like to actually watch the show please kthanksbye. 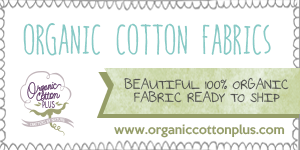 Best moment: Yummy yummy cozy winter fabrics! Remember when I had all these winter sewing plans, and I had to forget all about them because I got pregnant? Whomp whomp. But seriously, Mood must be so amazing to wander through for winter wear. Also, nobody complained about dressing "real" people! Nobody complained about dressing men! Not that we saw, anyway. Worst moment: The short time period apparently didn't bother anyone, but would it have killed them to have another day for this challenge? I also hated the bickering after the runway show. I realize it was highly edited, but I saw enough to know that the designers were blaming Sam for there being no elimination. But guess whose fault that was? Not Sam's. Maybe the other designers SHOULD flirt with the judges. You catch more flies with honey than vinegar. Sam can't make them do anything, it's the dumb judges' faults for having not one, but two non-eliminations. What was Sam supposed to do, volunteer to go home? Best looks: This was a weird challenge, the usual top people were the bottom and the bottom people were in the top. Can I give a shout out to Asha's "client" who completely looked like a model? I did like Mitchell's look, but I thought the rest were at the same level, no standouts. Worst looks: Layana was safe but I really disliked her look. I feel like she keeps skating by, but soon there won't be any obviously bad looks and it will be her turn. Her garment made her client look larger than she was and frumpy. I didn't hate Valerie's coat, but I did hate the pants (what was with all the cropped pants for the winter?) and I don't like how she basically disregarded Zanna. I have a feeling that if this were like regular PR, and Zanna was at the judging, she could have spoken up about telling Valerie to rethink all her crazy prints. Best quote: "It seems like Mitchell has a good sketch, and then all of a sudden, it just all goes to hell." --Sam YES! Someone agrees with me! Except this time it didn't really go to hell. I liked this episode even though the challenge made no sense (dress people who don't wear clothes!) and the time constraints were stupid. I was pleasantly surprised that hardly anyone fell apart considering all the pieces they had to make, even if they mostly ended up mediocre. If there are any more non-eliminations, though, I'm going to seriously consider whether this show is for real. Next week: Baroque costum--I mean, fashions. You know what's more interesting than Project Runway All Stars? House of Cards. And I've been busy re-binge-watching season 3 before moving on to the just-released season 4. I almost totally forgot about All Stars. Whoops! Best moments: It was easy to miss, but just before the runway show they played clips of designers complimenting each other's garments. I feel like this has literally never happened before. Of course, they shortly moved on to the typical bad-mouthing, but now I know that designers do say nice things and they're not normally aired. Worst moments: Unconventional challenge. Enough said. Best garments: I kind of want Sam to be in the bottom sometime soon so he can be taken down a peg, but it was hard to argue with the coolness of his look. The guest judge said something about it being "very Hunger Games" and his girl was definitely styled just like Johanna. Sam does a good job with the details like styling, or the story behind his look, in addition to being talented. I'm going to grudgingly give him a few passes on his attitude because I know he's just young, and that navigating the world of confidence with grace is difficult. Worst garments: Stella's was boring, of course, let's just get that out of the way. But Mitchell's??? It was covered in Sheriff's badges! SHERIFF'S BADGES AND FRINGE. I don't understand, how was it, at worst, the fourth worst? Were they just tired of picking on him? Can someone explain to me what was happening?? Stella, Fade, these are designers who are outside the acceptable realm of fashion, and therefore they have to go. Not surprising. I'm not quite understanding the lovefest for Valerie, I think she's good but not the most talented of this bunch. We'll see how it plays out. Next week: Naked people. Wearing...coats? I'm on board with forcing the designers into outerwear, but are the naked people really necessary?